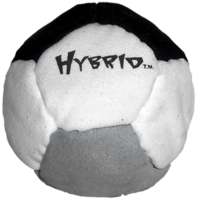 The Dirtbag® Hybrid is one of our "new generation" footbags. 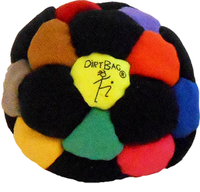 Two layers of cover material, trapping sand between them, gives this footbag the weight of a regular Dirtbag®, while the interior is filled with plastic pellets to give the footbag plenty of loft when you kick it. 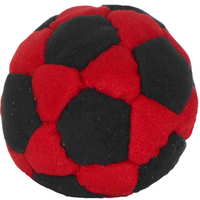 Completely washability is an added bonus to this slightly-oversized footbag. 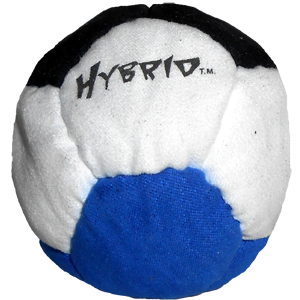 For those of us that do not love a sand-filled footbag, this one is a great compromise between sand -vs- plastic pellets. Try one; we think you'll like it. 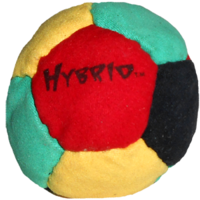 great for juggling get it!!!!!!!!!!!!! 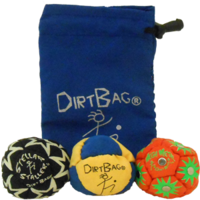 I have been using a typical dirtbag for juggling 3 balls with my feet. 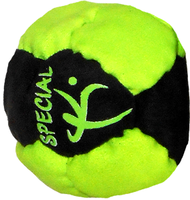 But they are a bit too light for foot juggling. 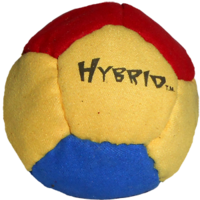 Then at the juggling festival in Sacramento I ran into a guy from San Francisco who had a few of these. It was like going to heaven. I could feel the weight on my feet so I could tell if I made the catch while at the same time it was nice a stally. I am pretty much drooling right now looking at these online. I'm not one of those 100+ kickers who can hack all day, just a regular joe who likes to play. But this bag is da bomb. 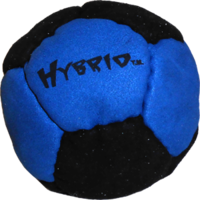 perfect blend of weight, size and loft to keep the circle going. Glad I got a couple. All it takes-morning dew, one puddle, spilt beer, wet grass- that's all it takes to defeat your dirtbag. 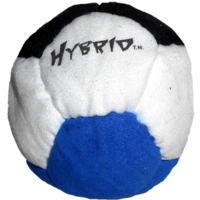 But the hydbrid is mighty. I got this as a gift for a friend and we kicked around last week. It started to sprinkle, but we kept on playing. Then it started to pour, and yet, we kept playing. 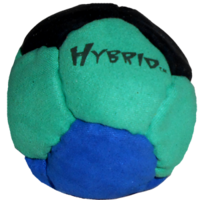 The hybrid had nearly the same touch as when we started. 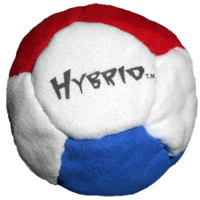 Even though it's not all dirt/sand, the hybrid still has good "stall-ability" and good touch. It has a little more action than a dirt bag, but I like that. 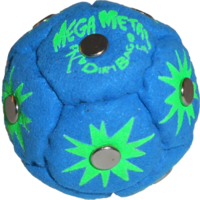 It seems very durable so far and I've heard that the fllying clipper guys will back you up. Shipping time was reasonable (I ordered mine on a Thursday and received it down in Texas the following Monday. It's a good value.